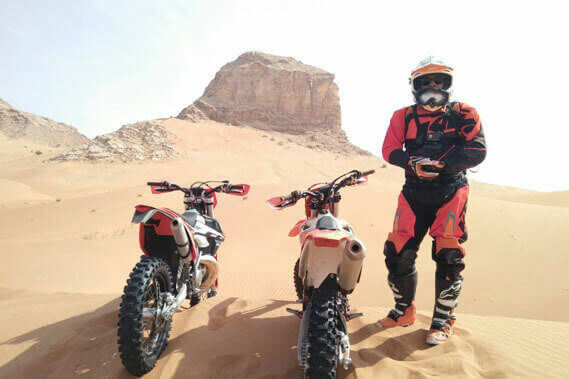 Enduro Tours Dubai are an expression for ultimate freedom, self-sufficiency and independence more than any other vehicle on open roads and off track. DuneBikeDubai is offering you to come and join the team of explorers and get the unforgettable feeling of riding your dream motorbike. Spend your vacation, weekend or even a single day outdoors and get loaded with thrilling emotions. 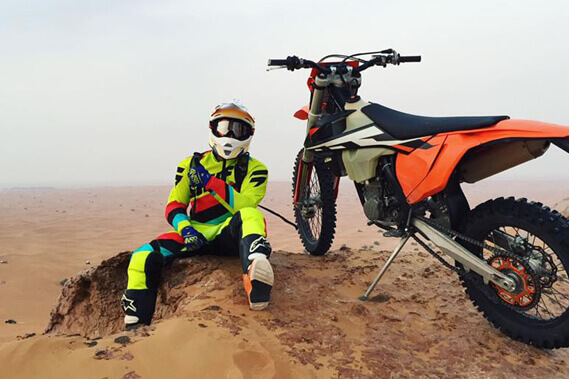 An iron horse is waiting for you to start your enduro desert tour Dubai and touch the red sand of Arabian Desert. 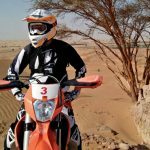 DuneBikeDubai specializes in fully guided enduro-tours-Dubai on highly equipped and maintained KTM Enduro-bikes in Dubai. 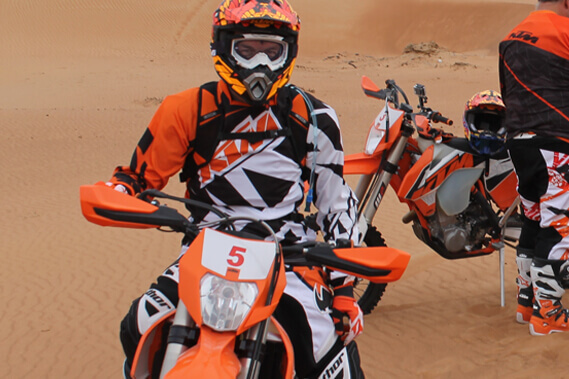 We know our machines from inside out to provide impeccable enduro-rent-Dubai. Your safety is our primary concern that is why we protect you from head to toe. A 2 hours escapes on a motorbike for riders with little to basic previous experience. During the whole time, our highly skilled and reliable instructor will accompany you. 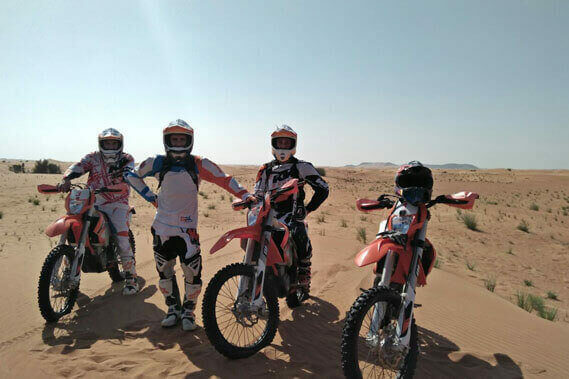 A 4 Hours of adventure on your desired enduro-hire in Dubai for those who have advanced level of experience. But you won’t be alone, as our friendly and professional instructor will accompany you all along. 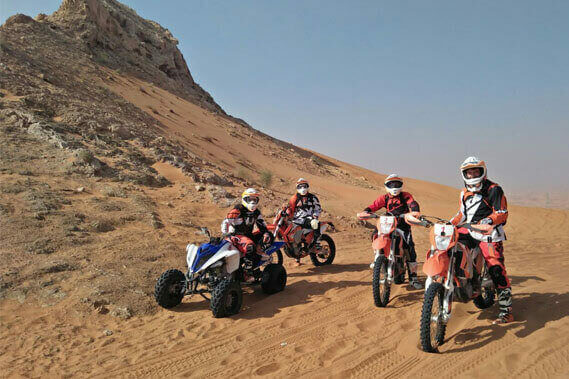 Plan a custom enduro hire Dubai with us for upto 3 days of Enduro-Rental in Dubai and bring along your bunch of buddies on our safe tracks and terrain. Technical mistakesare likely to happen on long runs. 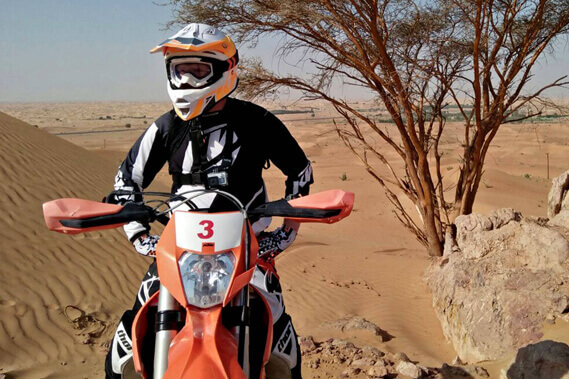 Especially the hot environment of the Dubai desert makes the Enduro-Rental-Dubai an exhausting adventure. But any lack of skills can be compensated with your fitness. 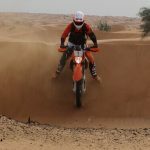 In other words, you don’t have to bash sharp into every corner all enduro hire Dubai long. Takes breaks on long trails. By following these easy steps you have fewer chances to make up for technical inefficiencies, all you need is to focus on that as much as your fitness. 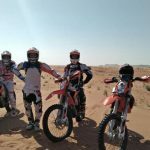 Book a 1 on 1 lesson for your enduro-desert tour-dubai with DuneBikeDubai and we will include skills training time in your training plan and having workouts that focus on efficient movement skills. Develop a mindset that you need in trail riding at a safe speed that you want to ride at. This means that when you go for a trail ride you should not ride on the maximum hard level for more than 15-20 minutes. 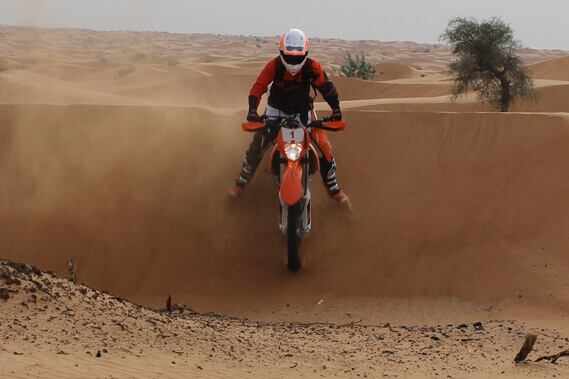 The soft sand of the Dubai-desert is continuously fighting against you and your enduro-rental-Dubai. Stop regularly to rest and then start over again rather than trying to go full pace the whole time without breaks. While on the rush through the desert you might forget this important rule and with your power level going down, the chances of making mistakes go up. 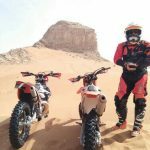 Develop and maintain the mindset you need to remember these steps when you your enduro hire in Dubai. Train your ability to stand up on your enduro-rent-Dubai and your body compensate and balance most of the dangerous situations out there. 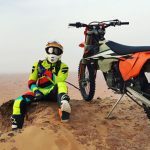 You will probably not stand up all the time, this isn’t really the goal, but you can get to the point where standing up is a tool on your enduro-desert tour-Dubai. Sit down to get a “rest” on easy terrain, stand up for the next hard part. The base for this is fitness. 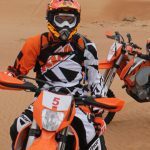 Remember that skills, mindset and standing are important factors in a enduro-hire-Dubai. For more information about this open desert safari adventure tour contact us via our contact form or just send us a whatsapp message for a quick reply.